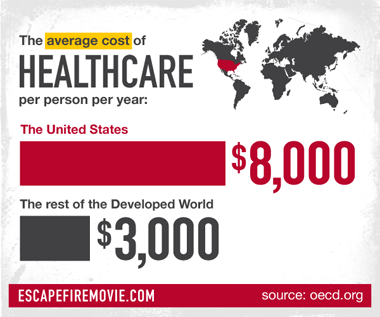 The award-winning Sundance documentary ESCAPE FIRE: The Fight to Rescue American Healthcare, directed by Matthew Heineman and Oscar-Nominee Susan Froemke, tackles one of the most pressing issues of our time: what can be done to save our broken medical system? 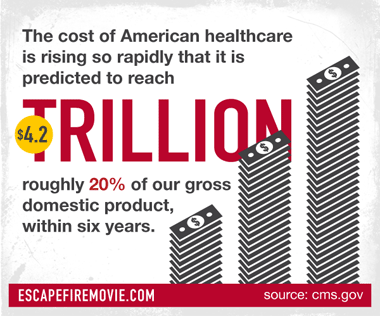 In an unprecedented professional education opportunity, watching the film will qualify for two (2) Prescribed CME credits from the American Academy of Family Physicians (AAFP), which can translate via reciprocity into American Medical Association (AMA) Category 1 credits. For CNE credits, the film will qualify for one and half (1.5) CNE credits from Nurse.com. This is a unique chance for healthcare providers from around the country to join the millions tuning in to elevate and deepen the national dialogue about our healthcare system and our role in leading it out of crisis. 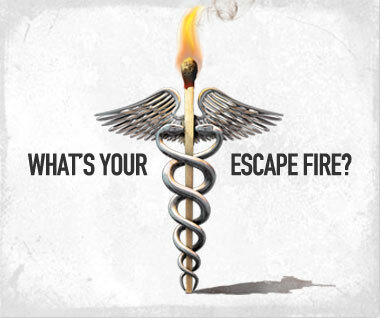 ESCAPE FIRE features the problems of healthcare providers from all sectors, including primary care physicians such as Oregon's Dr. Erin Martin, who struggles with limited time for patients and too little reimbursement, as well as leaders in medicine and healthcare, such as Dr. Donald Berwick, former Administrator of Medicare/Medicaid. Please visit the official film site to learn more about the film and the movement, as well as to find screenings near you. To complete the assessment for CME and CNE credits, you can watch the film on DVD or download the film from iTunes, Amazon.com, or a number of other digital providers. 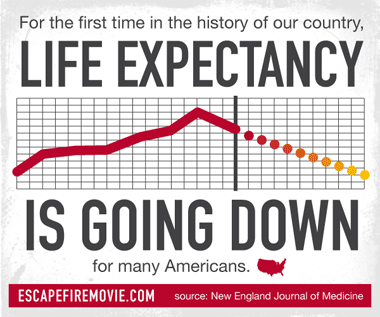 You can also host a screening in your community.